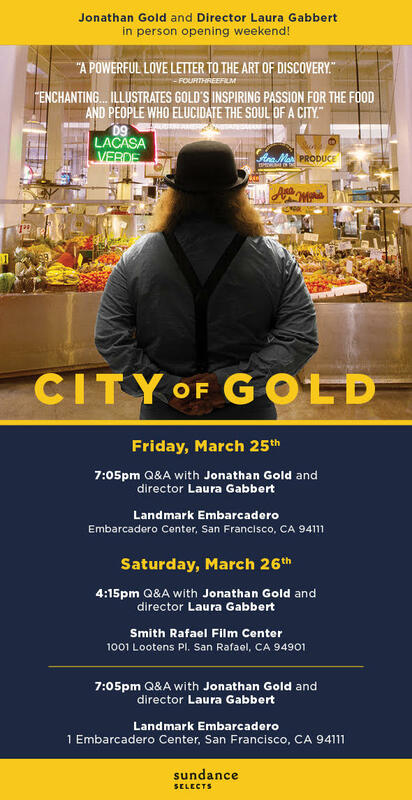 Director Laura Gabbert and Jonathan Gold will do Q&As at the Landmark Embarcadero Theatre (in Embarcadero Center, San Francisco) on Friday and Saturday, March 25 and 26 at 7:05 PM and at the Smith Rafael (1001 Lootens Place in San Rafael) on Saturday, March 26 at 4:15. EatDrinkFilms is nearing two years and 98 issues of publishing nearly 1,000 articles, reviews, essays, recipes and unique pieces. It has been an exciting and satisfying experience. We have had the freedom to do it our way, including the popular Critics Corner allowing two different writers to express their opinions about one new movie. It has been satisfying to provide a forum for so many superb film critics as well as cinema lovers whose own careers (lawyers, marriage counselors, museum curators, artists, bartenders and such) focus on the subject matter of select movies. There also have been reviews of films by chefs as part of our frequent blending of food, beverages and movies. Filmmakers such as Ritesh Batra (The Lunchbox), Pawel Pawlikowski (Ida, My Summer of Love), Kent Jones (Truffaut/Hitchcock), Volker Schlondorff (Diplomacy, Tin Drum), Judith Erhlich (The Most Dangerous Man in America: Daniel Ellsberg and the Pentagon Papers), Connie Fields (Rosie the Riveter, Freedom On My Mind) and Teller (Tim’s Vermeer) contributed original articles. 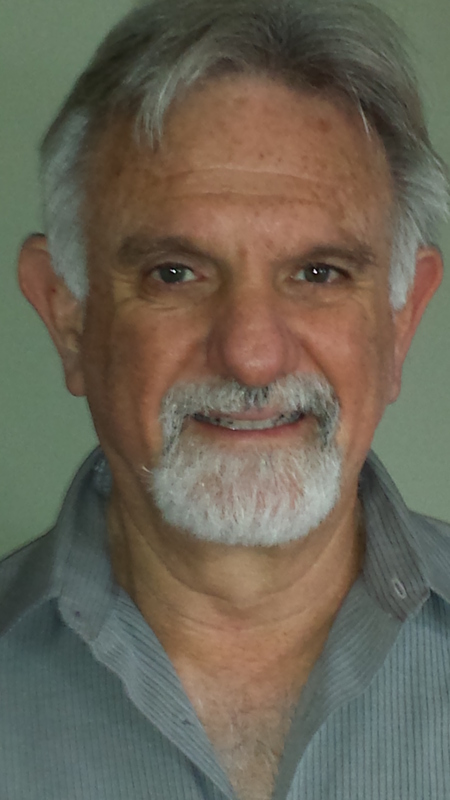 And you have read works from authors as diverse as David Thomson, Annette Insdorf and Paul Krassner. The recipes of many new and established chefs have appeared here with wonderful illustrations. We especially appreciate our regular food and drink columnists, including Risa Nye, Dianne Boate, Peter Moore, Cary Borja, Daniel and Darcey Barnes, Michael Cecconi, and Vince Keenan, who have offered us true insights into the people, drinks, food and related subjects they covered regularly. There are many more, and all are appreciated for their contributions. The quality of the writing and content is incredibly high – and readers love it. This is largely due to the fine work and the leadership of our editors Michael Guillen, Johnny Ray Huston and Barry Caine, who have led the way with their terrific ideas and sense of what makes for excellent and exciting reading. 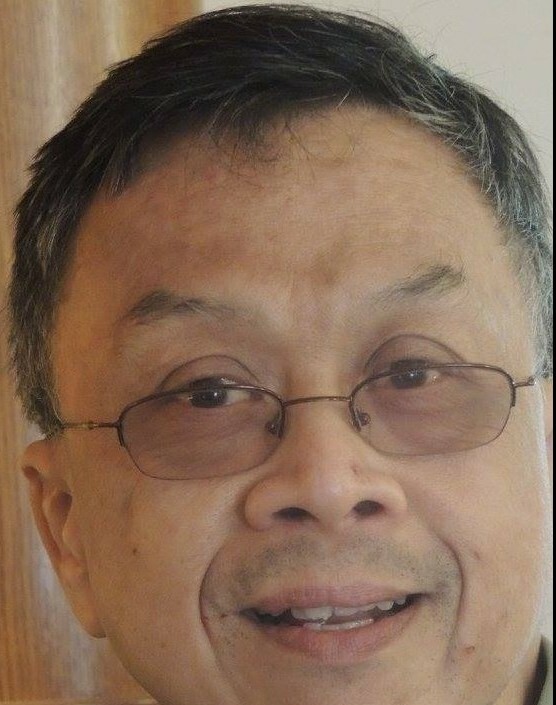 Their fine work was made possible because Kenn Fong led us every week through the process of getting each issue published and sent to you. Tien-Tien L. Jong designed the site and worked on the publishing in the early days before she went back to graduate school. EatDrinkFilms.com will stay online for people to pursue, and we hope you will direct others to check it out to catch up with the many fine articles about food, beverages and movies. The Search function will help everybody find the stories here. 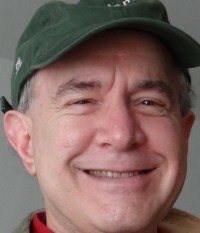 This entry was posted in Columnists, Drink, Eat, Films and tagged Barry Caine, EatDrinkFilms, Gary Meyer, Kenn Fong, Letter from the Editor, swan song. Bookmark the permalink.